Dairygold was recognized at the national Green Awards, successfully claiming the 2017 Supply Chain Achievement Award. This is the second year running Dairygold have won the 2017 Green Award. The Green Awards are the long-standing benchmark for excellence for those demonstrating best green practice in Ireland. The ceremony was held on February 21st at the Clayton Hotel Burlington Road, Dublin. Over 500 industry figures came together to recognise and celebrate the outstanding achievements within Ireland’s green industry. Award Sponsors include the Department of Communications, Climate Action and Environment and EPA Green Business and entries were judged by a panel of national and international experts. Nominees represent various sectors, including NGO’s and leading Irish companies in the food, pharmaceuticals, technology, finance, semi-state, construction, transport and tourism sectors. In 2016 Dairygold was successful in two categories – Green Transport and Green Manufacturer. In 2017 Dairygold followed this up with a further success in the Sustainable Supply Chain Achievement Award. Investment in a joint farm development programme supporting Dairygold farmer members to become more sustainable economically, environmentally and socially. Community contributions including ‘Wrap it Pink’ for the Irish Cancer Society . As the business continues to develop into the future, Dairygold is committed to ensuring it will do so in a sustainable way. 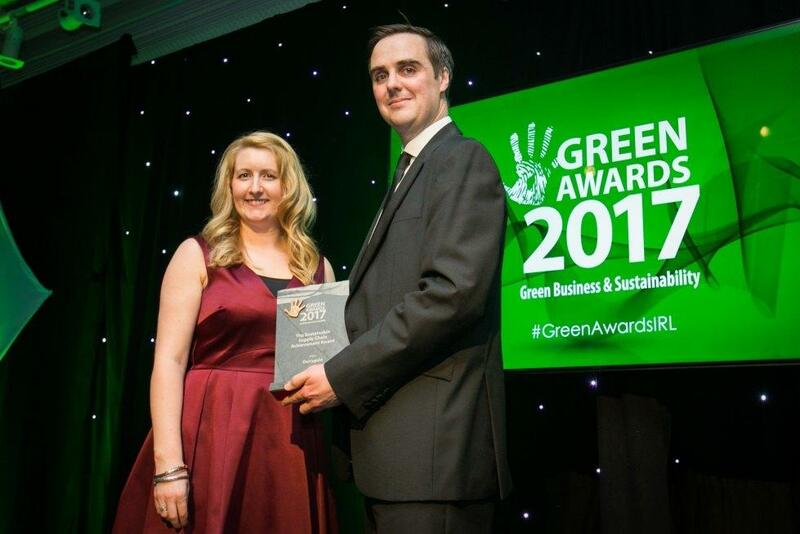 Dave Fitzgerald, Head of Sustainability accepts the Green Award for ‘Sustainable Supply Chain Achievement’ on behalf of Dairygold.